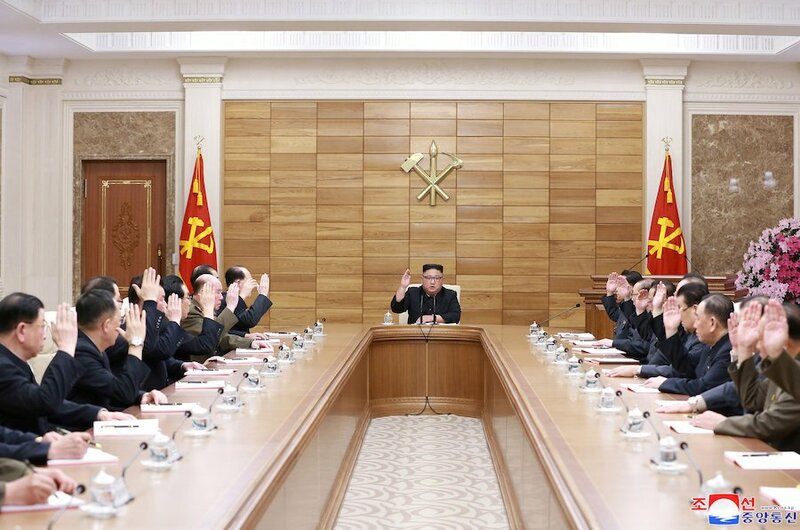 North Korea's state-run media has reported that the ruling Workers' Party will hold a plenary meeting of its decision-making Central Committee on Wednesday. Kim said he has "seriously analyzed the problems that need to be resolved urgently by party and nation", adding that "in response to the tense situation, a new strategic line must be achieved, in order to demonstrate the revolutionary spirit of an all-out struggle, self-reliance". It comes ahead of the opening of the country's rubber stamp legislature on Thursday. 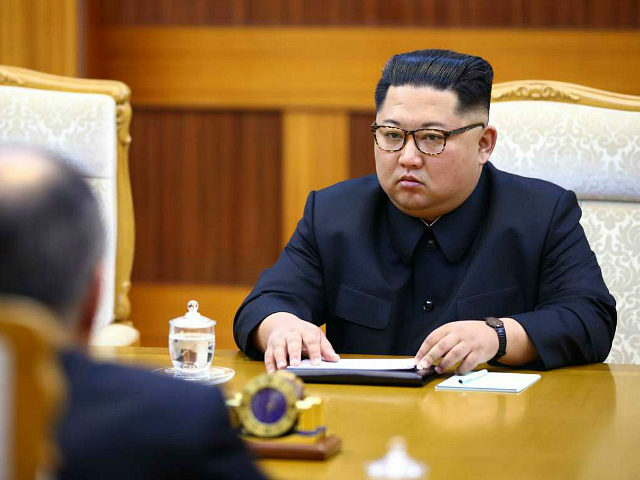 DPRK leader Kim Jong Un (C) attends a meeting of the Political Bureau of the Central Committee of the Workers' Party of Korea (WPK) at the office building of the Central Committee of the WPK in Pyongyang, DPRK, April 9, 2019. The daily noted that Japanese premier Shinzo Abe expressed "willingness to engage with North Korea through direct talks with leader Kim Jong-un to resolve the abduction issue". According to Reuters news reports, the plenary sessions has come in the wake of North Kim's second summit with United States President Donald Trump in February. Kim's public appearance is coming at a time when South Korea is appointing a new unification minister. Japan decided Tuesday to extend its sanctions against North Korea for two years, maintaining pressure on Pyongyang to denuclearize and resolve its past abductions of Japanese nationals. Pompeo made the comments after he was quizzed at a Senate hearing whether he would use similar language for Kim as he has used for Venezuelan President Nicolas Maduro. In Washington, however, US Secretary of State Mike Pompeo said all sanctions will remain in place. Kim made no mention of nuclear weapons, nor did he criticise his U.S. counterpart, according to KCNA.